Hannover96 is gradually re-building the core players to play in the second division. Already, some players have exited the relegated side from the Bundesliga. 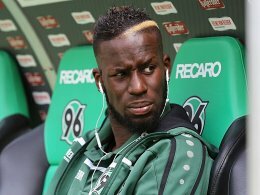 However the fate of the defensive midfielder, Salif Sané is uncertain, after talks reached an impasse over his move from Hannover to Cologne. Cologne are looking for alternatives to Sané at the moment with some days remaining to the start of the training season. While Hannover is hoping that Sané stays and bring them back to the Bundesliga.